What makes a radio journalist in the 21st century? Has the oldest electronic medium for journalism really changed that much? The spoken word is the oldest medium in the world for imparting information, and the basis for the earliest of the modern electronic media we now take for granted. The days are long gone when families would huddle round the wireless to catch up on world events, but radio journalists still inhabit a special place in the industry and wider society. Radio lets users give up a degree of agency in being pulled through a story by the teller, but without the full, dead-eyed passivity of television. "To use sound to paint a picture in the mind's eye without any images, it's actually the huge challenge of audio and the huge advantage of audio," says NPR's Guy Raz. "In television you're seeing the pictures, so you know what's going on and in print there are often still photos. But in radio everybody experiences the story differently and I thought that was so magical, that in some ways radio is the most visual of those mediums." Raz has worked almost every job in the newsroom, interviewing ex-presidents and hip hop stars, running NPR bureaux in London and Moscow, and reporting from bullet-riddled conflict zones along the way. He now hosts the weekly TED Radio Hour, focusing on ideas and education, but told Journalism.co.uk he doesn't identify as "a natural storyteller". From speaking to him, you would disagree – he has an energy and empathy to his voice expected of an award-winning radio journalist – but says this is a skill that he had to work on. A skill he still works on. Ira Glass, host of Chicago WBEZ's This American Life, is one of the best storytellers in the English-speaking media, focusing on feature-length stories. Finding good stories is, of course, one of the hardest parts of the job, but telling them well on radio requires practice. "One of the things you don't want to think about is the way you were taught [to write] in school," says Glass in a series of video interviews on storytelling made by Current TV. "In high school we're all taught that there's a topic sentence and the facts that fill out the argument. In broadcasting it's completely different." Ira identified the building blocks of a good radio story: an anecdote, some bait, and moments of reflection. "The anecdote is the story in its purest form... Saying 'this happened and led to this next thing, which led to this next thing and one thing following another'. "There can be thoughts and ideas as part of it, but... the power of the anecdote is so great, that no matter how boring the material is, it has a momentum in and of itself." By way of example, he tells a story of a man waking in the middle of the night to an eerily quiet house, a story full of long pauses and hushed tones that do more to serve the story than the plot itself. "So in that story the bait is that the house is very quiet," he continues. "And the question hanging in the air is why. And it's implied that any question you're going to raise, you're going to answer... the whole shape of the story is throwing out questions to keep people wondering and listening and [you're] answering them along the way." Good stories need a pay-off at the end, though. The narrator needs to explain the relevance of the anecdote, Glass said, how it relates to a wider issue and what it teaches. Finding and combining a great anecdote with an important issue is the real difficulty and the real skill in great storytelling. "The trick of the whole thing is to have the perseverance that you've got an interesting anecdote and you've got an interesting moment of reflection that will support it," he says. "And the two together, interwoven, in three minutes or six minutes or however long, will make something that's larger than the sum of its parts." Of course, features aren't the only type of story to tell on radio. Veteran broadcaster Peter Allen has been going head-to-head with leading public figures for decades and says a good, live interview is a conversation. The most important part of any conversation is in the listening, not the speaking, but interviewers should not let their questions go unanswered. "After that, you try to force them to answer the question you've asked and you must not allow them to slide away because they will simply answer a series of four questions with a series of four answers that have nothing to do with it. So you must be prepared to interrupt." Of course, most radio journalists will start out as reporters and, at Radio 1's Newsbeat, Nomia Iqbal approaches stories like any other reporter. "Because I'm a radio reporter, my job is to get people to react to a story by asking them several questions," she says in another College of Journalism video, "and the soundbites will make up the package that I'm doing." Getting the quotes and colour around a story is more vital on radio than it is in television, and maybe even in print, because radio reports need to paint that picture for the listener more immediately and more vividly than other media. "You've got to be such a cruel editor and be your harshest critic," Radio 5 Live's Nick Garnett told Journalism.co.uk, "because if you're not, someone else will be. So it's about getting those nuggets and getting it down concisely. My average piece on radio is probably about 90 seconds long." Iqbal had two minutes for her report on the Postal Service strike, so she had to be judicious in both her selection of snappy quotes and a good script. Although she ran the script past her editor, Iqbal did all the editing herself and, like storytelling, the production side of the field is an important skill to be honed. "You can edit fairly easily, you can download Audacity and download webinars or go on YouTube and figure it out," said Raz. "It's not that complicated. Same with recording audio. What's complicated is how to use a sound. "I find the producers who know how to use sound best tend to be producers who learned instruments or who play instruments, but it's not always the case." 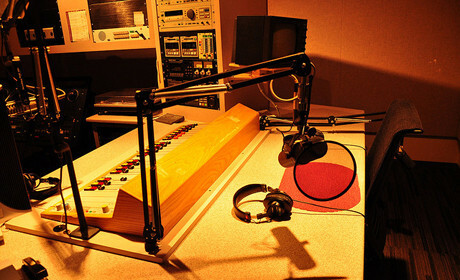 The effect sound and music can have on the tone of a radio segment can be dramatic and often takes a lot of experience working with music to get right. Garnett came into journalism and radio from the production side of the industry and believes the technical side is even more important today than ever. "I think an awful lot of journalists make the mistake of not caring about how they get their story to air," he said, "whether on radio, print, social media, TV, they don't really care about the technical side." Garnett travels around the world to report on issues and needs the technical know-how to make sure he can get on air in almost any circumstances. In Tunisia recently, he said he tried six channels – satellite phone, IP program, FaceTime, Skype and more – before finally being able to transmit his report back home. That same broad technical accomplishment should apply to how modern journalists tell and publish their stories, he said. "I think that we need to forget the idea of being a radio journalist," he continued. "You have to be multimedia in everything you do. And that goes for every form of media – whether it be print, social or video. "You have to be able to do it in every single format and you need to be thinking about that when you do a story, so you need to be technically savvy. You need to be a great storyteller, because at the end of the day, it is the story that sells." And this, of course, brings us back round to the basics of journalism. Garnett, Raz, Glass and Allen have all won awards for their work, but they have been in the industry, practising their craft, for decades. "The first couple of years that you're making stuff, what you're making isn't so good," Glass said. "It's not that great. It's trying to be good, but it's not that good. But your taste, the thing that got you into the game, is still killer. "And your taste is still good enough that you can tell that what you're making is kind of a disappointment to you. You can tell that's it's still kind of crappy. A lot of people never get past that phase. A lot of people, at that point, they quit." Glass laughs about it now, but admitted that it took "longer than anyone I've ever met" for him to get through this initial phase. Everyone is a beginner at some stage, and everyone takes practice to start turning out work they feel is up to the standard they are aiming for. "The single most important thing for someone getting into journalism, and it seems so intuitive but I'm surprised by how rarely this happens, is to find a mentor," said Raz, who himself went through "a crucible" of rejection in his early years. But experienced journalists are often flattered by having a young reporter look up to them and admire their work, he says, and many want to help people on their way up and pass on their experience. As with so many things, there is little to lose in politely asking someone to look over your work, but so much to gain. "It's a really tough business to enter into, but it's the most rewarding and interesting job I can think of," he said. "We get to ask people questions about their lives. We get to hear their stories. There's nothing else like it." Check out the full podcast with Guy Raz, Nick Garnett and Ira Glass here, or listen to it below.